Xie Rong, otherwise known as Echo Morgan, assumes the role of director, performer, narrator, and filmmaker in her multi-faceted practice. 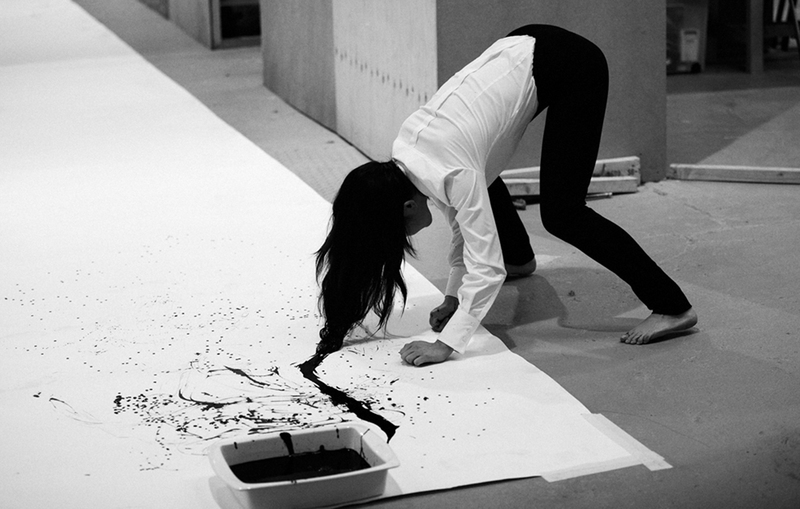 Her broad oeuvre consists of films, performance, paintings, prints, small publications, short stories and audio pieces. Her Hong Kong debut exhibition titled ‘家 Home’ is held at Galerie Huit Hong Kong during Art Basel week. 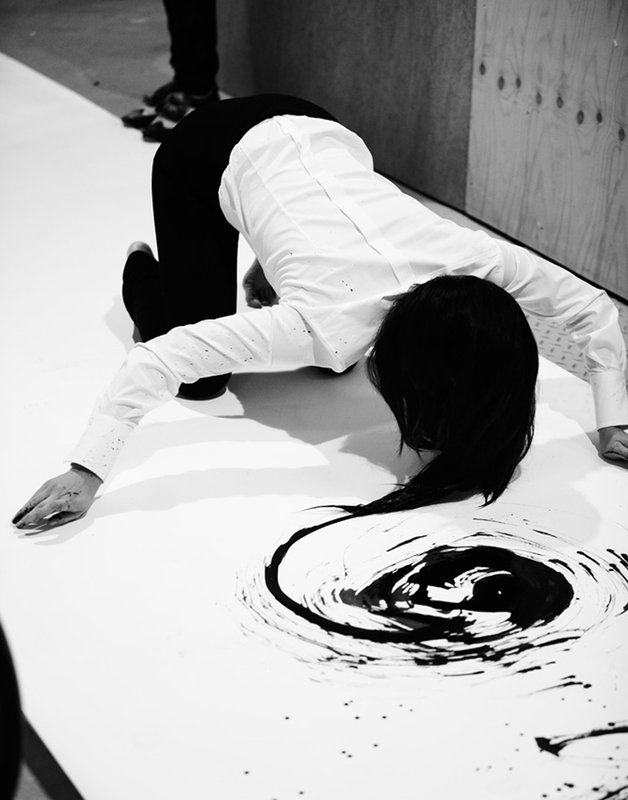 The exhibition consists of large ink paintings that were made during Xie’s inaugural performance ‘I Am A Brush’ in 2011 at Royal College of Art, where she appropriates her hair as the brush and adheres to the calligraphy tradition of writing on a roll of paper. 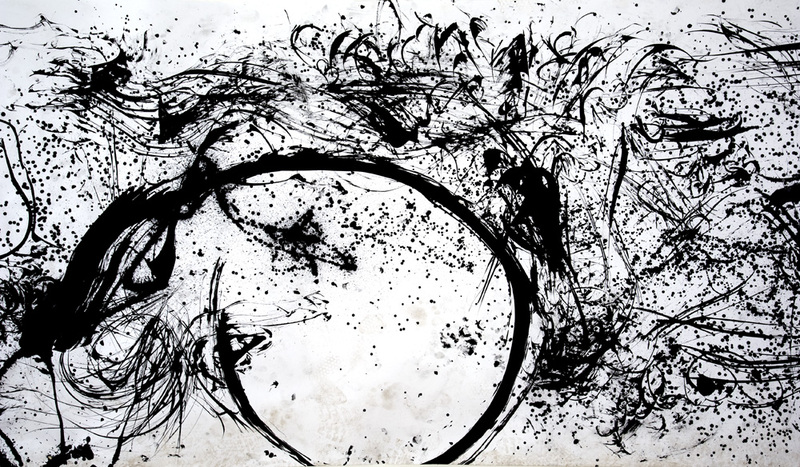 Graduated from Central Saint Martins in BA (Hons) Graphic Design and Royal College of Art in MA Printmaking, Xie was the First Prize winner of Crown Palace Drawing Competition in 2011 and Winner of Brooke House College Scholarship in 2003.